Are you ready for Trick or Treat? Here is a set of cute Happy Halloween Sticker Labels to help you celebrate the Holiday. Halloween is one of the most fun Holidays that both kids and adults enjoy. We get a chance to dress up, to be silly and weird, ugly or pretty, to be anything we want to be. 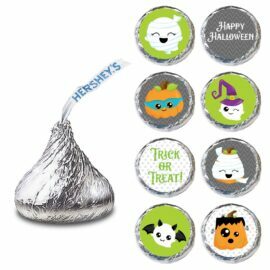 Halloween is a holiday where sweet candies and chocolates are abundantly available. 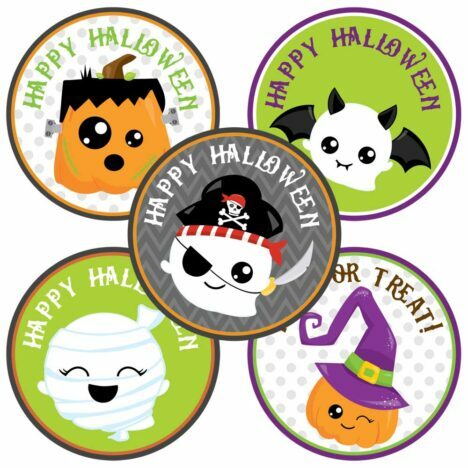 You will receive 50 (Fifty) Happy Halloween Sticker Labels in each set. 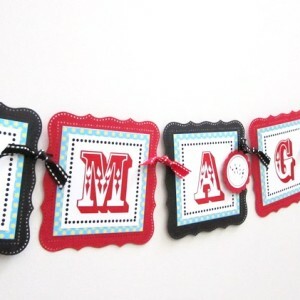 There are 10 (ten) different images in each set. 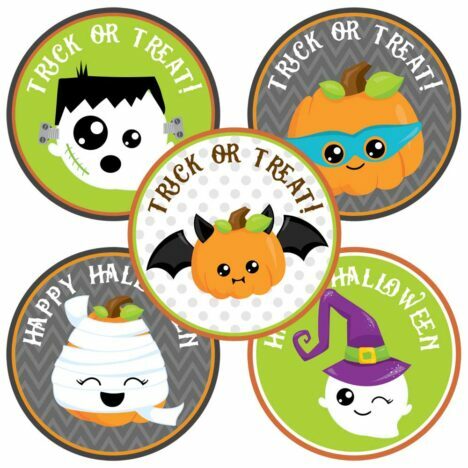 That’s a lot of a variety of adorable Halloween graphics: pumpkins, bats, witches and ghosts inspired. 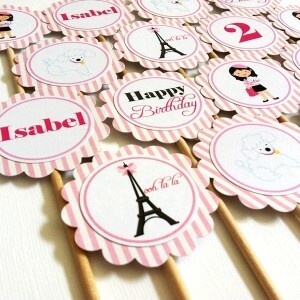 These stickers are perfect to adorn your party favors. 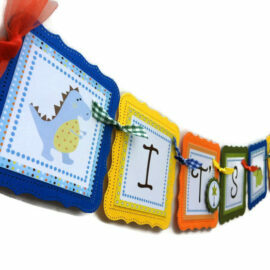 They are also the perfect finishing touch for sealing your envelope (great envelope seals for thank you cards). 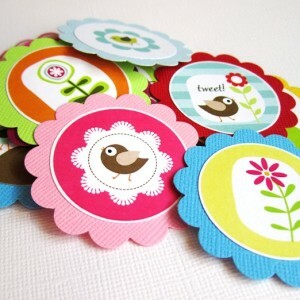 Each round sticker measures 1.5 inches (or 3.95 cm) in diameter, professionally printed and cut. All you need is to peel and adhere. 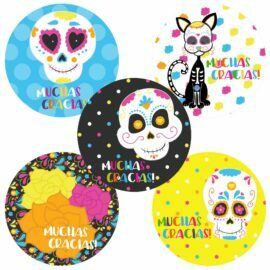 Our stickers have vibrant colors, printed on glossy paper.